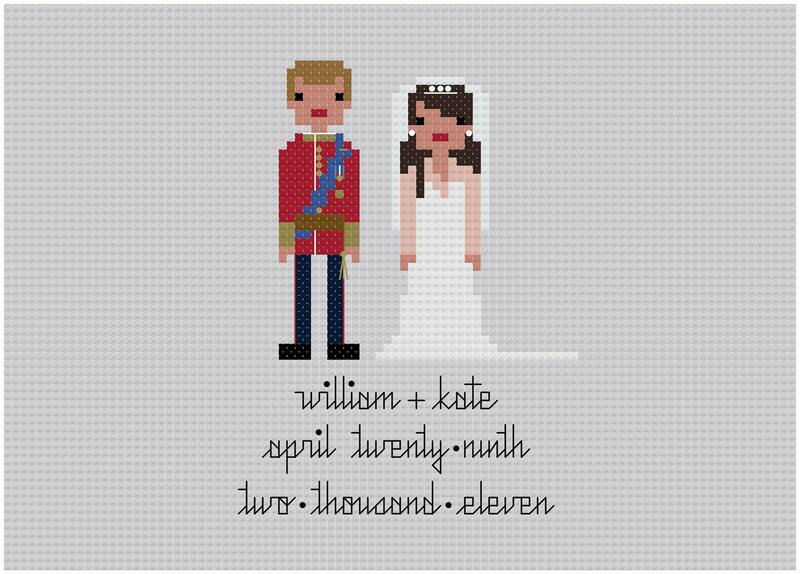 Who doesn't love a fairytale romance? I doubt any novelist could have written it better... 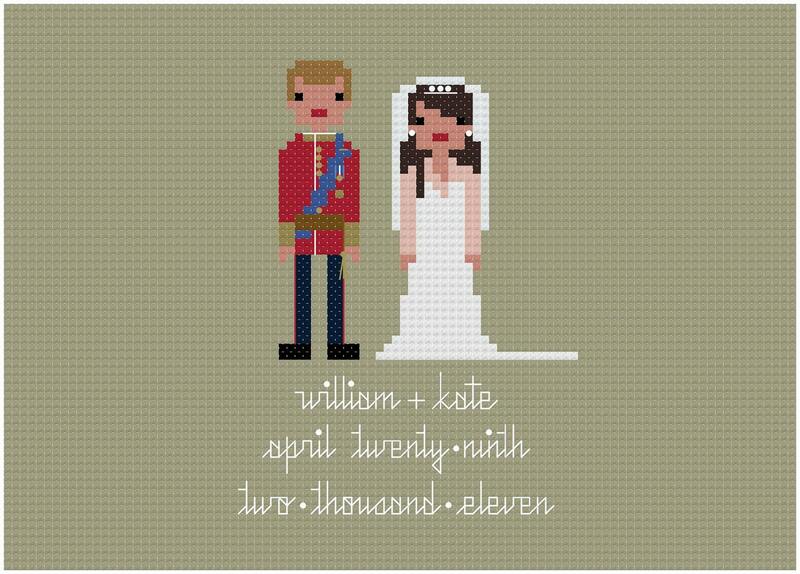 Prince William and Kate Middleton, now Duke and Duchess of Cambridge, had undoubtedly the wedding of the century! 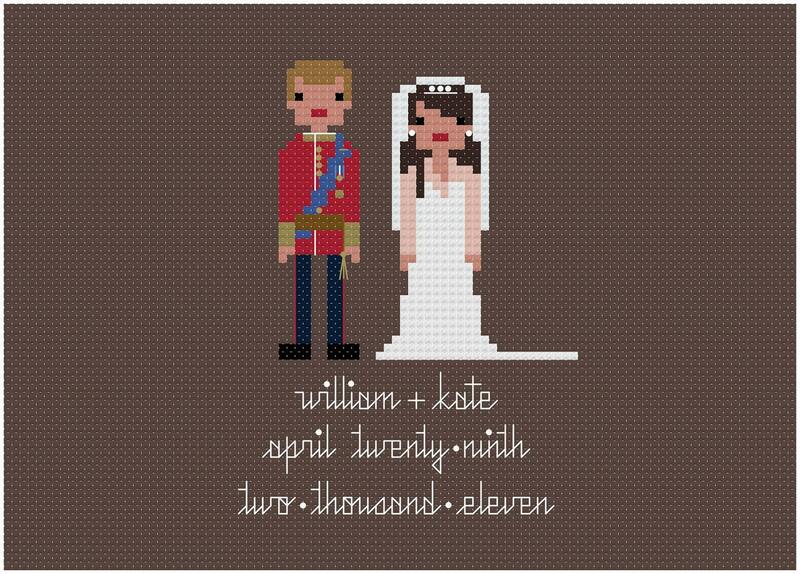 Celebrate the pomp, the circumstance, the event, and the romance with your very own Pixel People cross stitch sampler. 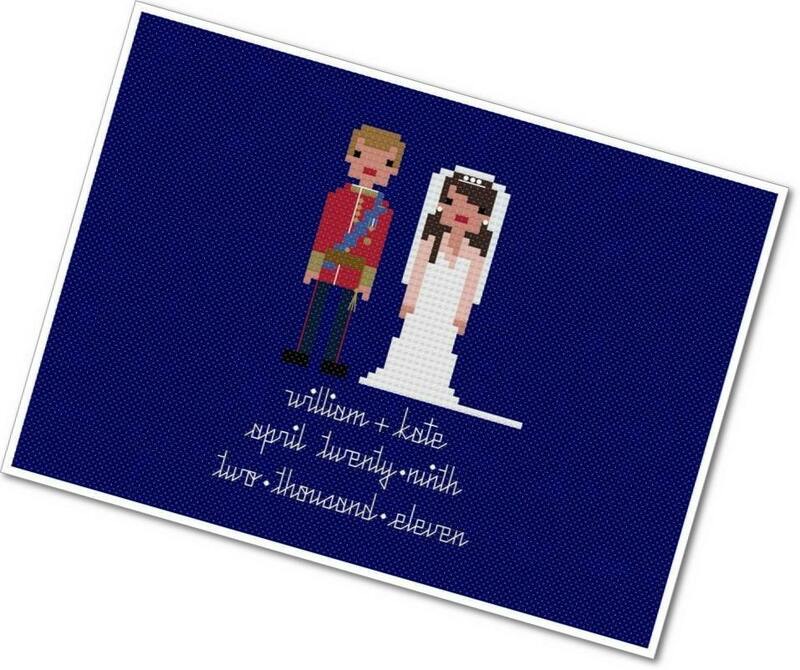 Resplendent with metallic floss and delicate blended stitches, this pattern captures the elegant details of a beautiful couple on a beautiful day. 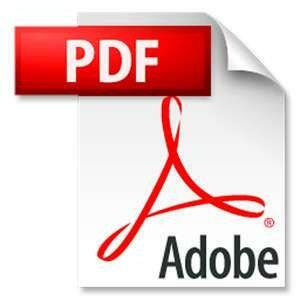 The digital file will be delivered INSTANTLY via download link. The pattern will be sent to the email on file with Etsy and can also be accessed at any time through your "Purchases" folder. Due to the nature of digital files, no refunds can be given after the email is sent to the buyer.